If you have a sweet tooth, then you'll find no shortage of Parisian pastries and tarts in the cafes of the France's capital city. 2.90 Euro might seem like a stiff price to pay for a yummy piece of Opera cake, but when in Paris, just go for it! This kind of cakes are sold at only less than $1, although we think they are too expensive as a snack…. Wow. This made me crave for more sweets. I believe I will love that restaurant. I don’t know which one to choose. Paris has really a lot to offer. That’s a pretty sight! although these are kind of expensive…but definitely fancy! 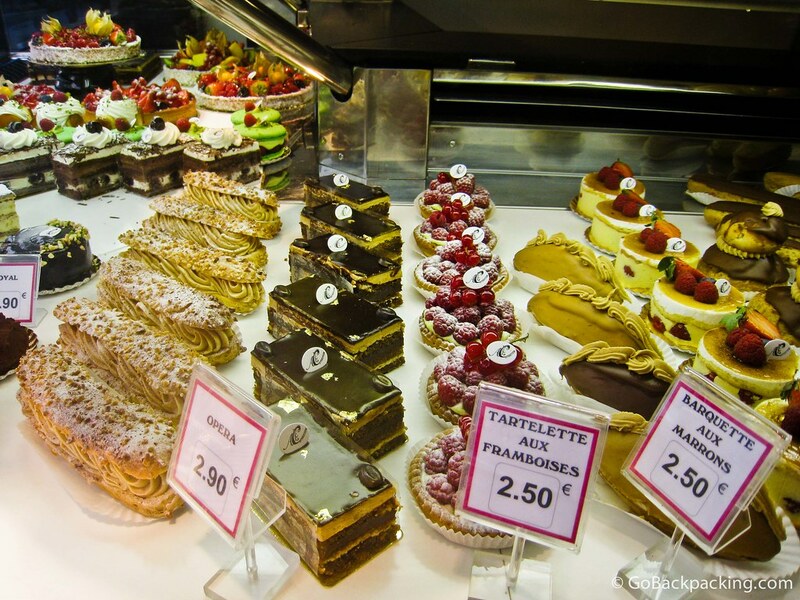 My mouth is really watering!They all seem so delicious.French desserts are the best for sure!